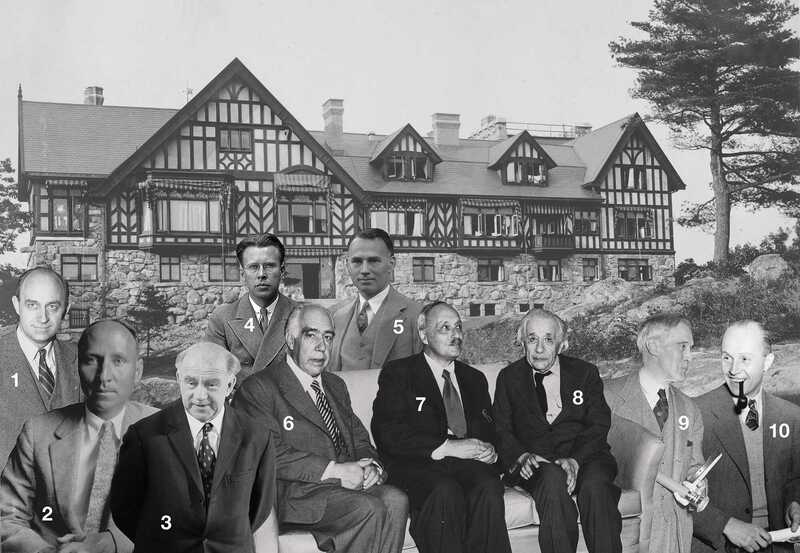 In the 1930s, the exclusive enclave of Tuxedo Park in Orange County, New York was home to some of America’s oldest, wealthiest families — and one of the most mysterious, cutting-edge laboratories in the country. A Wall Street tycoon with a passion for science, Alfred Loomis built the Loomis Laboratory — nicknamed “Tower House” — on the grounds of his estate to conduct his own research and enable that of others. In so doing, he created what Albert Einstein called a “palace of science,” where the greatest minds from around the world came to work and exchange ideas. Were you lucky enough to earn an invitation, here are some of the people you might have run into in the halls of Tower House. Italian-born physicist Enrico Fermi won the Nobel Prize in 1938 "for his work with artificial radioactivity produced by neutrons, and for nuclear reactions brought about by slow neutrons." The awards ceremony in Sweden allowed Fermi and his family to flee fascist Italy for America, where he became a professor at Columbia University. Alfred Loomis took a keen interest in Fermi’s research, offering to fund investigations into how fission could be used for atomic energy. During World War II, Fermi worked on the Manhattan Project, leading the group of physicists that built the world’s first nuclear reactor. After the war, he became an advisor to the Atomic Energy Commission. The so-called “architect of the nuclear age” was strongly opposed to the creation of the hydrogen bomb, though he consulted on it. Later, he focused his attention on high energy physics and cosmic rays. The synthetic element fermium was named in his honor. When Tower House regular George Kistiakowsky wrote in his memoir about a biologist who was “the great authority on fireflies and other luminous things and seldom talked about anything else than bioluminescence,” he was talking about E. Newton Harvey. A Princeton professor and frequent Tower House visitor, Harvey worked with Alfred Loomis to invent the centrifuge microscope — a groundbreaking apparatus that allowed biologists to observe the impact of high gravitational forces on cells. Harvey has various luminous organisms named after him, including a bacterium (Vibrio harveyi), a crustacean (Enewton harveyi), a species of firefly (Photinus harveyi), and species of centipede (Pselloides harveyi). In 1925, German physicist Werner Heisenberg published a pioneering paper on quantum mechanics. He followed it a couple of years later with another paper proposing the uncertainty principle that now bears his name, establishing limits for how accurately the position and velocity of a particle could be simultaneously measured. In 1932, he was awarded the Nobel Prize. When the Nazis came to power in the 1930s, theoretical physics was deemed to have a “Jewish influence” and its practitioners, including Heisenberg, came under attack. A family connection to Heinrich Himmler helped Heisenberg put an end to the slurs. During World War II, Heisenberg helped lead German nuclear research — an aspect of his biography that has caused considerable controversy. After the war, Heisenberg resumed his academic pursuits, serving as director of the Max Planck Institute for Physics and holding a variety of administrative positions in the West German government. American physicist Ernest O. Lawrence first visited Tuxedo Park in 1936. Just 35 years old, the Berkeley professor had already earned great acclaim with the invention of the cyclotron, a particle accelerator more powerful than any that came before it. The cyclotron produced elements with significant medical applications, and won Lawrence the Nobel Prize in 1939. To continue his cyclotron research, Lawrence created the Radiation Lab at Berkeley, of which he was named director. Lawrence and Alfred Loomis were kindred spirits and instant friends. “Ever since we first knew each other, there was a continuity as definite as if we’d lived in the same building all the time,” Loomis once said. During World War II, Lawrence helped recruit scientists for the MIT Radiation Laboratory, where Loomis and a team developed radar technology. Meanwhile, Lawrence himself worked on uranium enrichment with the Manhattan Project. After the war, Lawrence campaigned for nuclear weapons research and the creation of the hydrogen bomb. The chemical element lawrencium was named in his honor. Physicist and financier Alfred Loomis used his enormous wealth to build the Loomis Laboratory on his estate in Tuxedo Park, New York. In doing so, he created space and opportunity for scientists from around the world to pursue their research. A man of wide-ranging interests, Loomis worked on his own and with others to conduct pioneering experiments in fields like spectrometry, chronometry, and ultrasound. He also helped develop a device to measure brain waves, discovered new sleep stages, and co-invented the centrifuge microscope with E. Newton Harvey. In the late ‘30s, Loomis turned his attention to the possibilities of radar. During World War II, he would use his knowledge, his wealth, and his connections to create the MIT Radiation Laboratory — “Rad Lab” for short. The radar technology developed there by Loomis and his team would play an invaluable role in the war. As Rad Lab director Lee DuBridge once said: "Radar won the war; the atom bomb ended it." Danish physicist Niels Bohr won the Nobel Prize in 1922 at the age of 37 for his work on atomic structure. In the Bohr model, the atom consisted of a positively-charged nucleus surrounded by negatively-charged electrons that moved around the nucleus in prescribed orbits, much like the traditional model of the solar system. While the Bohr model has been adjusted over the years, its basic premise remains intact. Bohr went on to contribute the idea of the nucleus as a liquid drop, which laid the groundwork for an understanding of nuclear fission. He also introduced the concept of “complementarity,” which allowed physical phenomena to have a dual nature (in the case of light, to be both a particle and a wave). Bohr expounded upon his ideas in a seminar at Tower House in the 1930s. In 1921, Bohr opened the Institute of Theoretical Physics at the University of Copenhagen, where he collaborated with physicists like Werner Heisenberg, who later became the head of the German nuclear energy project. Throughout the ‘30s, Bohr, the son of a Jewish woman, worked to secure jobs for scholars that had been forced to flee the Nazi regime. In 1943, Bohr himself was threatened with arrest and escaped to Sweden and then on to Great Britain, where he worked on nuclear weapons. In the coming years, he took extended visits to the United States, advising scientists working on the Manhattan Project at the Los Alamos Laboratory. After the war, Bohr return to Copenhagen and helped establish CERN, the European Organization for Nuclear Research. German-born physicist James Franck won the Nobel Prize in 1925 for “discovery of the laws governing the impact of an electron upon an atom.” He gave his first lecture in the United States at the Loomis Laboratory in the late ‘20s, drawing a crowd of eminent physicists to Tuxedo Park. When the Nazi Party came to power in Germany in 1933, Franck resigned his position at the University of Göttingen in protest. He came to the U.S. for good in 1935, finding a home as a professor at Johns Hopkin University, and, later, at the University of Chicago. During World War II, Franck worked on the Manhattan Project to develop the atomic bomb. As chairman of the Committee on Political and Social Problems, he recommended dropping the bomb on an uninhabited region to demonstrate its power — rather than deploying it on a Japanese city. After the war, Franck focused his studies on photosynthesis. It was Albert Einstein, arguably the most famous physicist of the 20th century, who dubbed Tuxedo Park “a palace of science.” Born in Germany, Einstein attended school in Switzerland, but couldn’t find a teaching position upon graduation. 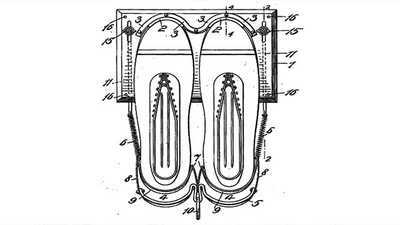 Taking a job at the patent office, Einstein continued his own research, publishing groundbreaking articles that that included his special theory of relativity and an explanation of the photoelectric effect. He won a Nobel Prize for the latter in 1921. Appointed director of the Kaiser Wilhelm Institute for Physics, Einstein moved to Berlin in 1913. A couple of years later, he published the general theory of relativity, which predicted that light was bent by gravity. When experiments proved him correct in 1919, he became a full-fledged science rockstar, known around the world. In the face of growing anti-semitism in Germany, Einstein, who was Jewish, emigrated to the United States in 1933. Accepting a faculty position at the Institute for Advanced Study in Princeton, New Jersey, he worked on developing a unified field theory, which would occupy him for the rest of his life. A committed pacifist, Einstein was prevailed upon by fellow physicist Leó Szilárd to attach his name to a letter warning President Franklin Roosevelt that the Germans might develop an atomic bomb, and urging him to create an American nuclear program. The letter inspired a chain of events that resulted in the Manhattan Project. R.W. Wood was a colorful American experimental physicist who mentored and collaborated with Alfred Loomis for decades. An optics expert considered to be the “father of infrared and ultraviolet photography,” Wood also had a penchant for exposing spiritual mediums and disproving other scientists’ theories. Called in to investigate the Wall Street bombing in 1920, Wood reconstructed the bomb, earning the nickname “Sherlock Holmes” from the press. Having failed to finish his PhD, Wood nevertheless became a professor at Johns Hopkins University in 1901, a position he held until his death. Wood dabbled in ultrasonics early on, photographing sound waves to demonstrate the wave nature of light. He would return to the field during World War I, studying high-powered ultrasound as a means of detecting submarines. After the war, Wood continued ultrasound research with Alfred Loomis at the Loomis Lab, where he was appointed director of research. His biography, rumored in fact to be more of an autobiography, is called The Amazing Doctor Wood. Having escaped his native Kiev during the Russian Civil War, George Kistiakowsky earned his PhD in physical chemistry in Germany. He was teaching chemistry at Princeton when he met Alfred Loomis through friend and fellow scientist William Richard. First invited to Tower House in 1930, Kistiakowsky returned over the next few years, spending two summers on a Loomis-funded formaldehyde project. During World War II, Kistiakowsky worked for the government developing new explosives, including an edible explosive called “Aunt Jemima,” which could pass for flour and be smuggled through checkpoints. In 1943, he was brought to Los Alamos to consult on the Manhattan Project. After the war, Kistiakowsky worked as a professor of physical chemistry at Harvard and served on a variety of federal advisory committees. He was awarded a number of prestigious medals, including the Medal for Merit, the Medal of Freedom, and the National Medal of Science. Opposition to the Vietnam War led Kistiakowsky to cut his government ties. He would go on to serve as chairman of the antiwar organization Council for a Livable World. Conant, Jennet, Tuxedo Park (New York: Simon & Schuster, 2002), 61. Congress created the Defense Advanced Research Projects Agency to make sure America was never beaten by technological surprise. The scientist who developed the radar that helped win WWII also has a few other patents to his name. 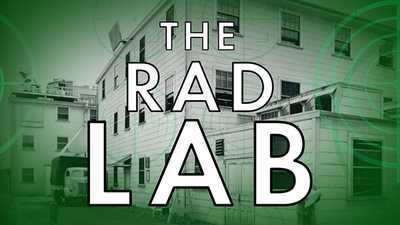 The “Rad Lab” was the main research facility for the American radar program in the Second World War. But there’s virtually no record of it.